Control of classical swine fever (CSF) in developing countries is achieved by immunization with attenuated vaccines, such as the lapinized C-strain vaccine that has been widely used in China. However, C-strain has relatively low growth rate in cell cultures, thus affecting productivity of the vaccine for the industry. In this study, eight amino acid residues were mutated on the C-strain backbone, resulting in a cell-adapted strain Cmut8. The mutant strain exhibited rapid growth with titer of about 100 fold higher than its parental C-strain. The mutation sites located at structural proteins Erns and E2 contributed more to cell adaptation than those located in non-structural proteins. Sera collected from pigs inoculated with Cmut8 and C-strain at the same dose showed similar antibody levels and neutralization titers. 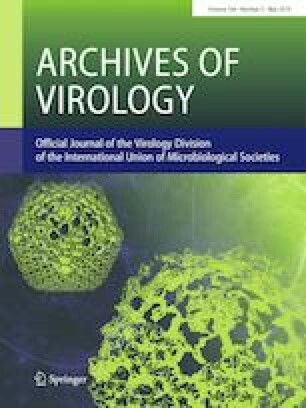 Pigs inoculated with different doses of Cmut8 (low, medium and high) and with C-strain offered full protection against challenge with a virulent strain, shown as absence of fever and other symptoms, marginal low levels of viral load, and no obvious gross pathological changes in major organs. Unvaccinated control pigs challenged with the virulent strain showed high fever from day 2 post-challenge and apparent clinical symptoms with two deaths. Viral load were markedly elevated in these control pigs after challenge. The pigs inoculated with high dose of Cmut8 did not show fever or other typical CSF symptoms, and no apparent pathological changes were observed in major organs. Besides, the Cmut8 strain did not induce typical fever response in rabbits. These results demonstrate that the cell-adapted Cmut8 strain remains non-pathogenic to the weaned pigs, provides full protection and could be a good candidate vaccine strain for improved yield at lower cost. This study is part of the work sponsored by Zhejiang Provincial Department of Science & Technology (2019C02043), Shanghai Key Laboratory of Veterinary Biotechnology, Shanghai, China (KLAB201711) and Dabeinong Funds for Discipline Development and Talent Training in Zhejiang University (DB2018005). Animal experiments were conducted following the guidelines and approved protocols of the Laboratory Animal Management Committee of Zhejiang University (Approval No. ZJU20180190 and 20181061).